Currently 52,961,616 common shares issued and outstanding. 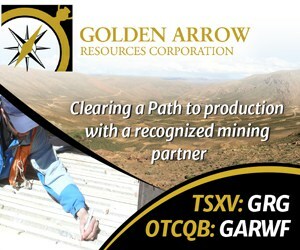 Geomega Resources Inc. (“GéoMégA” or the “Company“) (TSX VENTURE:GMA) announces the closing of a private placement consisting of 2,500,333 units (the “Units”) at a subscription price of $0.18 per Unit and for gross proceeds of $450,060 (the “Private Placement“). Each Unit consists of one common share (a “Common Share“) and one-half of one share purchase warrant (each whole warrant, a “Warrant“). Each whole Warrant entitles the holder thereof to acquire one additional common share at a price of $0.25 per share for a period of twenty-four (24) months from November 4, 2014 (the “Closing Date“). The Common Shares and Warrants acquired by the subscribers are subject to a hold period of four months plus one day and may not be traded until March 5, 2015 except as permitted by applicable securities legislation and the rules of TSX Venture Exchange. GéoMégA currently has 52,961,616 common shares issued and outstanding.